They do it all in Ann Arbor, and they do it right; art, music, science, food and drink—heck, even football. Whether on or off the University of Michigan campus, there’s no shortage of interesting landmarks to visit and cultural hot spots to experience. Read on and check out these unmissable locations in Ann Arbor. No matter what your particular interest is, Ann Arbor’s got something for you. The University of Michigan has a dozen fantastic museums on and around its campus, all of which are well worth your time to visit (and that’s including the Sindecuse Museum of Dentistry!). Seriously, the collection of art and artifacts held between these institutions is nothing short of extraordinary, so I couldn’t pick just one to recommend. Start with the incredible U of M Museum of Art, which is beautiful condition following its major expansions and renovations over the last decade. 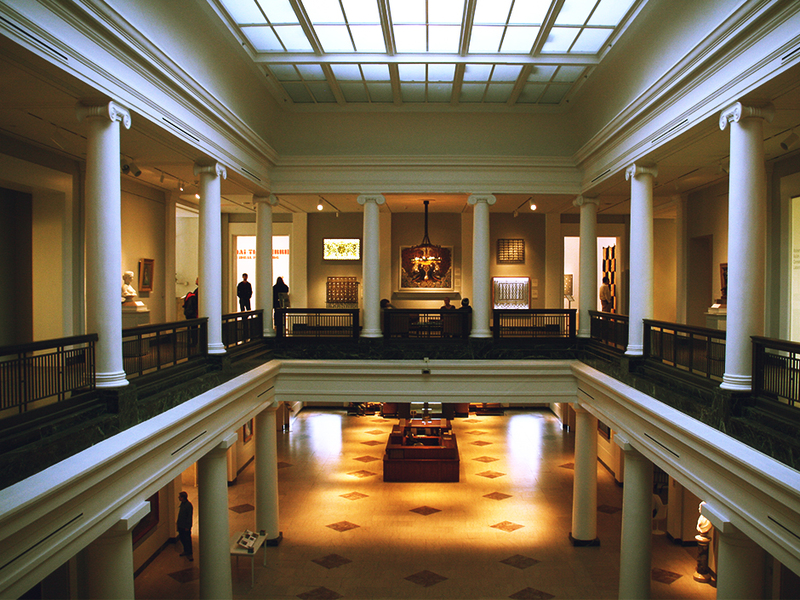 The Museum of Art has a huge variety of art on display, from its permanent collection of over 18,000 works of art to the numerous exhibitions it puts on each year. Equally as essential is the Museum of Natural History, which offers exhibits and educational programs on anthropological and archaeological subjects. But perhaps most interesting is the Detroit Observatory. Built in 1854, it was the first scientific research facility on the U of M campus and the oldest observatory of its kind in the country. Today, the observatory stands much the same as it did in 1854, and they offer historical tours, astronomy classes, and viewings through the antique telescope. 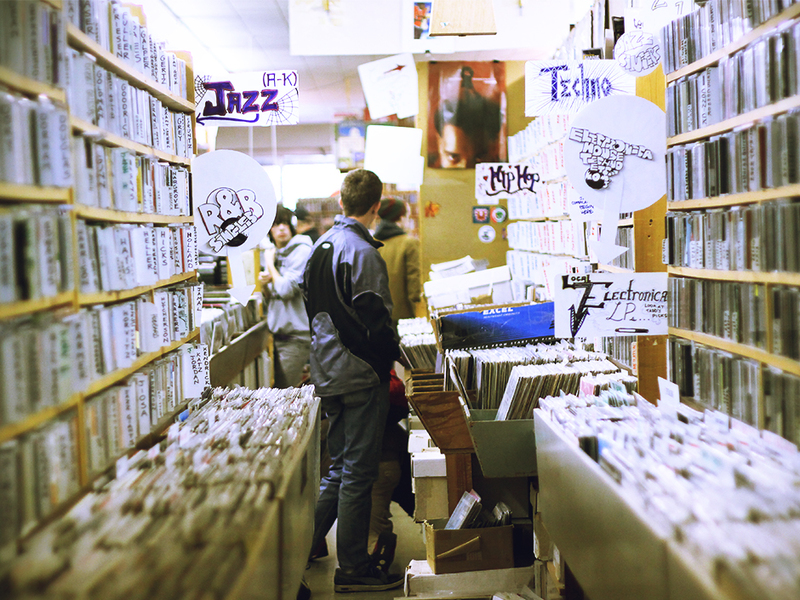 A long-running staple of Ann Arbor culture, Encore Records is one of the oldest record stores in the country. Initially opening its doors in 1939 as the Liberty Music Shop, the reins of ownership have been passed from manager to employee about a half dozen times since. Although the name and location has changed, the vibe and mission has remained the same: to provide a curated selection of new and used, rare and collectible music and memorabilia to the Ann Arbor scene. No matter what your genre or format of preference is, Encore is more than likely to have a few rarities to catch your eyes and ears. And like any good independent record store, they of course buy and trade, provide free music events, and support the local scene. This is without a doubt the number one destination for music lovers and record collectors in Ann Arbor. The Blind Pig is yet another legendary Mecca for music enthusiasts. The club opened in 1971 as a chic café and blues venue, taking its name from the slang for cops who took bribes to ignore speakeasies during prohibition. 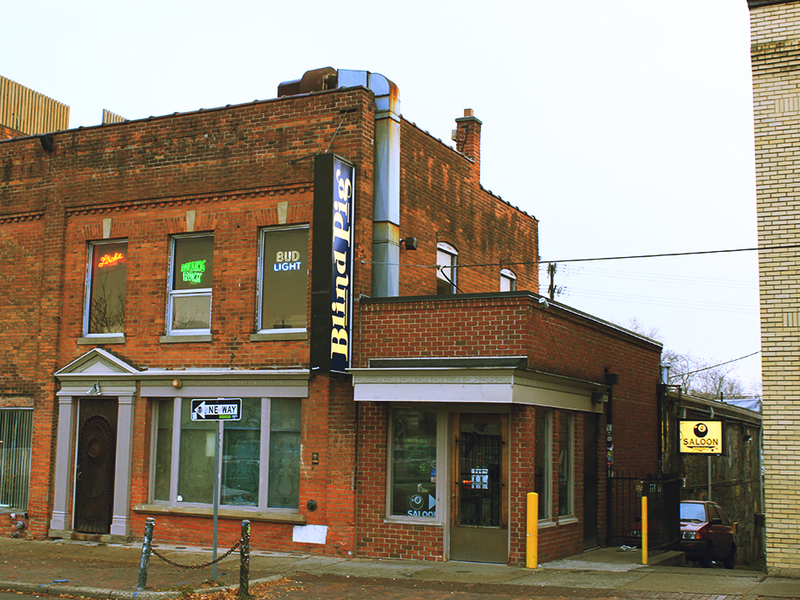 Ownership changed hands in 1979 and a major renovation was undertaken, expanding the performance space and beginning its heyday as Ann Arbor’s premiere heavy rock club. The Blind Pig hosted dozens of legendary grunge and alt-rock bands in late 80s and early 90s, including the Smashing Pumpkins, Sonic Youth, and Nirvana, just to name a few. In fact, Nirvana had a very special connection to The Blind Pig. In 1989, the relatively unknown band played one of their first sold out shows there, having been hyped up by Soundgarden at their own show a week earlier. Years later, Nirvana name-dropped the Blind Pig as their favorite venue to play. These days, upcoming touring acts from the indie, electronica, and hip hop scenes play to enthusiastic crowds at the Blind Pig nearly every day of the week. Getting enough culture yet? Okay, then let’s take it down a notch and lower that brow a bit with some good old-fashioned retro-arcade fun. Pinball Pete’s has been providing good clean fun to the youth of Ann Arbor for some 30 years, somehow toughing it out through the Satanic Panic of the 80s (when American parents and politicians were sure arcades were a breeding ground for drug use, moral degeneracy and—gasp—occultism!) and the nationwide death of arcades that coincided with the rise of home videogame consoles in the 90s. 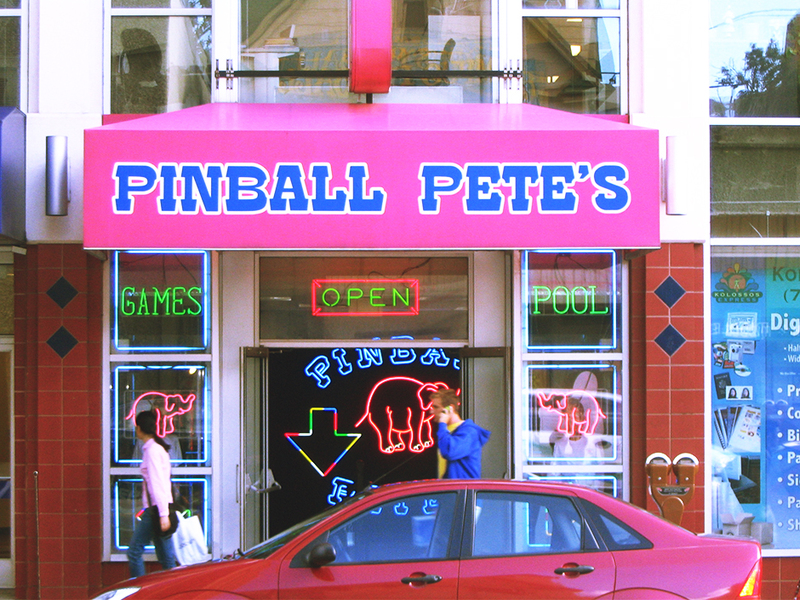 This ain’t no modern barcade where hipsters pretend to be nerds, it’s an honest-to-goodness classic arcade. That means no alcohol is served, so you’ll have to enjoy your pinball wizardry sober—for better or worse. But don’t let that stop you; come on in and get transported back to the 70s. No trip to Ann Arbor is complete without catching a game at the Big House. Michigan Stadium is the main sports venue on the University of Michigan campus and is home their celebrated football team the Wolverines. This massive structure is biggest stadium in the nation and the second largest in the world. You’ve really got to see it to believe it, no words can accurately describe the mammoth scale of this over-100,000 seat venue. 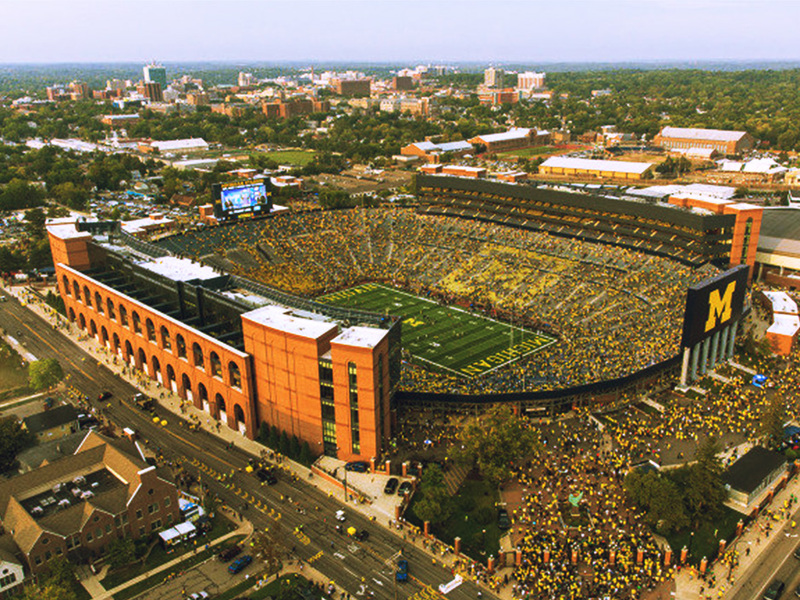 It is easily one of the best places in the country to see a football game, in part for the size, but mostly for the enthusiasm and passion Wolverine fans can’t help but display at their home games.